Literally the phrase is used to describe somebody who is spending too much time thinking about their own problems but with me, of course, it means something quite different. That is good, it means that we haven’t missed anything. 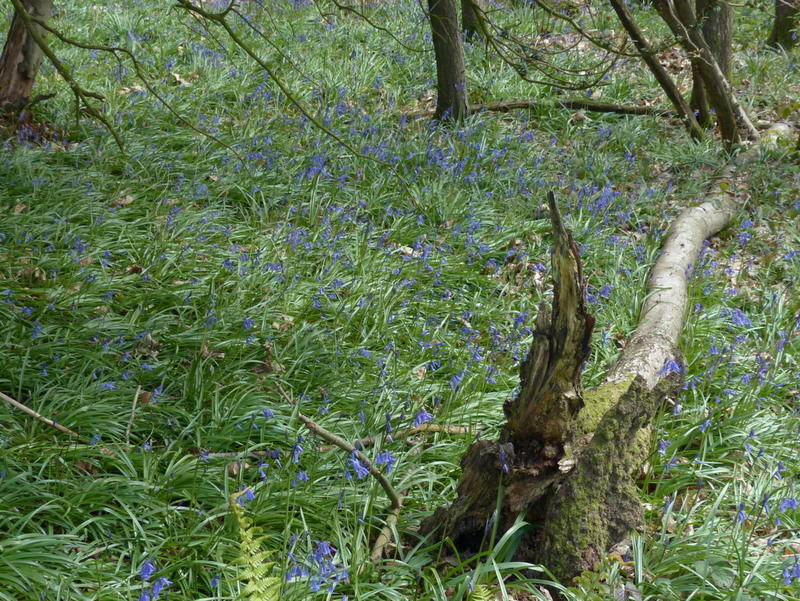 Our Bluebell woods are beautiful and you wouldn’t want to miss them. A lot of the wood still looks like this.. The flowers are there but they have a little way to go yet. There are a lot of Bluebells in the hedgerows and tracks around the farm and they are a bit more advanced than this, probably because they get more sunlight. Our hedgerows seem to retain a lot of the characteristics of ancient woodland, which they would have been before they were turned into farmland and I see a lot of species that are regarded as “ancient woodland indicators” growing there. Maybe I will do a post about that soon. 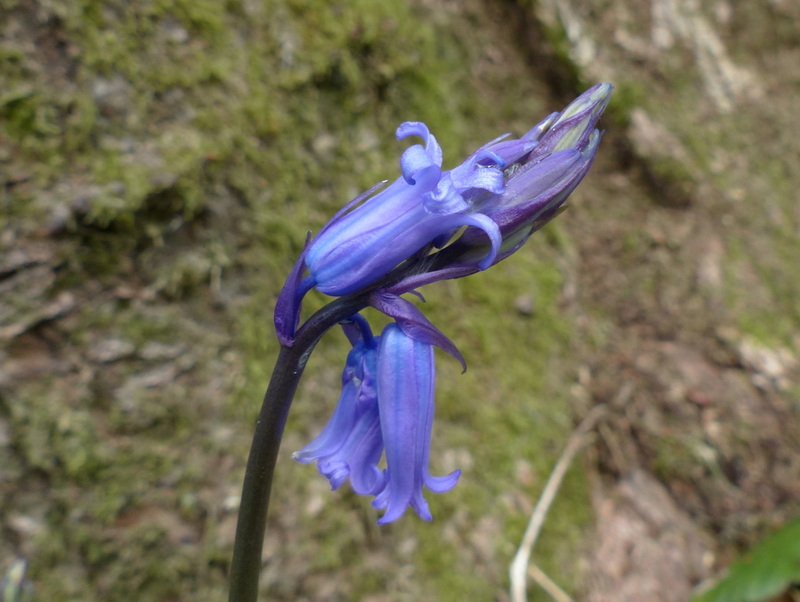 The Bluebell is one such species. This is a derelict Sweet Chestnut coppice and this is where we filmed the Boar. 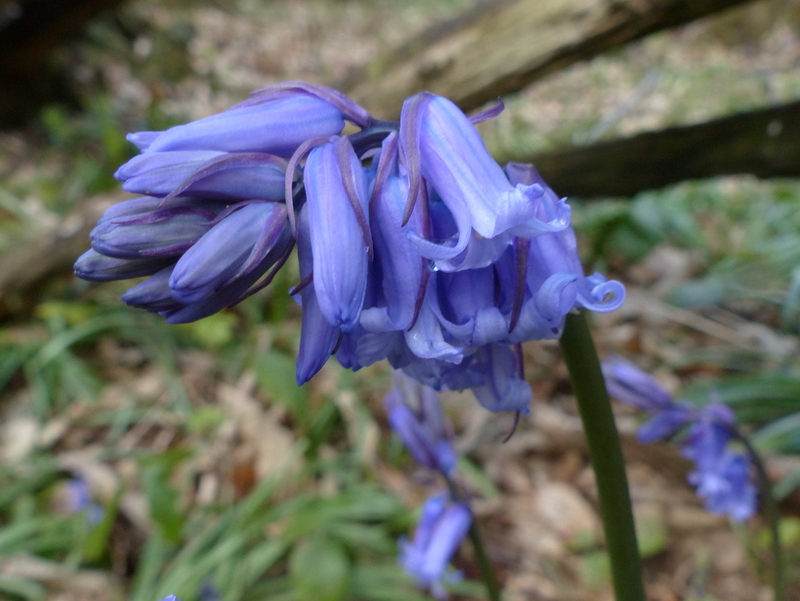 I know some much nicer Oak and Beech woods that will also be filling up with Bluebells and we will visit them soon. 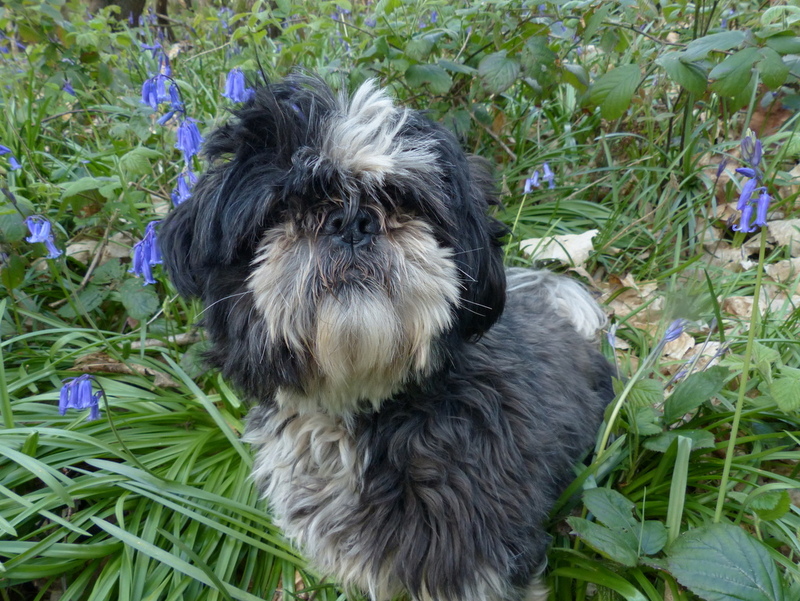 So we struck out with the Bluebells, what are we going to do now? I suggested to Fizz that we might go and contemplate my navel. You probably won’t be much more impressed yourself it is not visually striking. 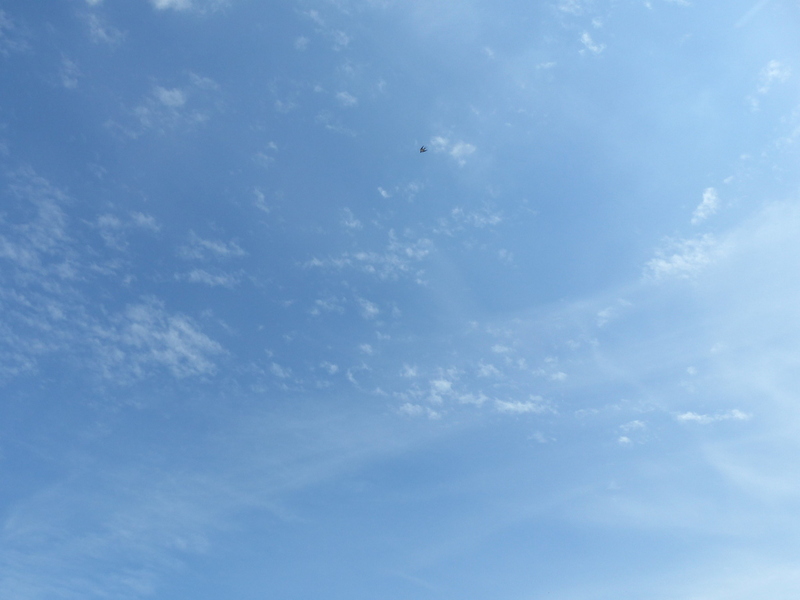 These first two pictures were taken in February, when I first discovered it. This is new to me and I have never seen it in flower. I had never even heard of it and that doesn’t happen to me very often so I have been watching it closely. I am very excited about my Navelwort. 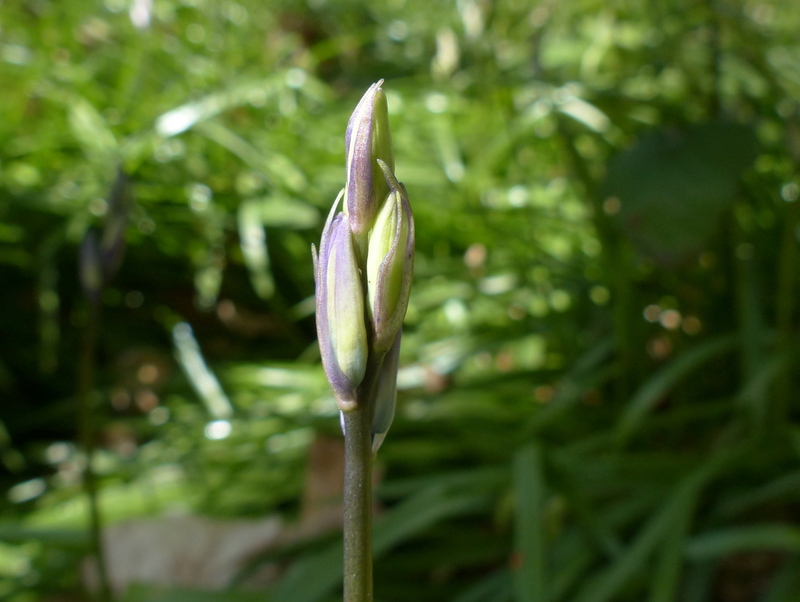 It flowers in May and today I saw the flower spikes starting to emerge. It looks a little bit strange, that is because it is a succulent. Succulents are plants with thick, fleshy leaves and stems that are specially adapted for storing water, like a cactus. They usually live in very dry places and we don’t have many native succulent plants, probably because the UK is a very wet place. This one is special. I have actually just been watching a video about edible Navelwort. It started with the presenter going on about what a rare find it was and he hadn’t seen one like this for years and then he ate it. There is a basic rule when it comes to foraging, unless you are starving, don’t take things that are not abundant and don’t ever take the last one or even most of them. It is common sense. 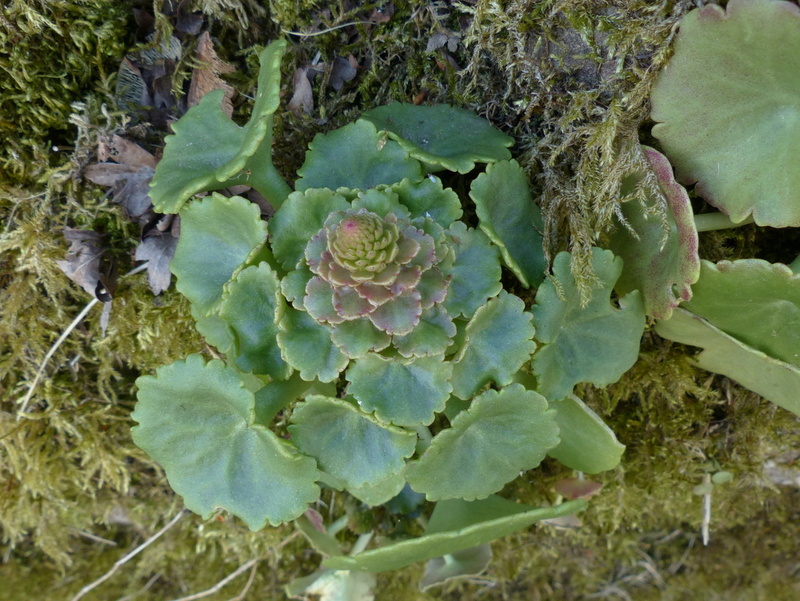 The Navelwort that I have found is not abundant and most of what I saw in February has been eaten by animals. They don’t respect anything but then most of them are starving. 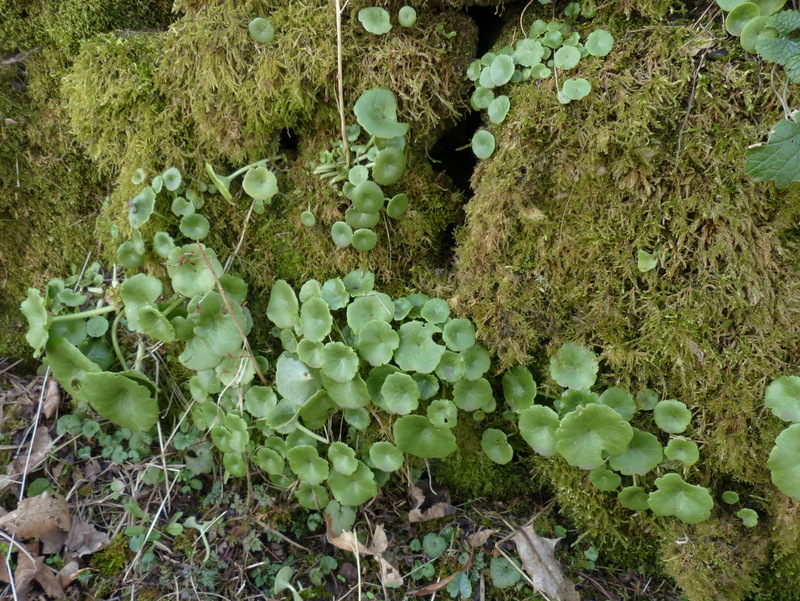 Another name for this plant is Wall Pennywort (It grows on stone walls) and the Latin is Umbilicus rupestris. It has medicinal uses but I haven’t really looked into that yet and these little flower buds are going to grow into tall spikes of flowers. I will show you when it happens. I was expecting Gloucestershire oranges. Interesting plant. I’m sure I haven’t seen one before. Good find. Thank you Andrew 🙂 I was catching up with your posts at around 3 AM. Lovely garden and having your own Green Woodpeckers must be great. I haven’t had a lot of luck with them, they are very hard to creep up on and they laugh at your efforts as they fly away. I am good at recognising the field signs though. There is something very interesting about Yaffle Poop. You have to have a good look. 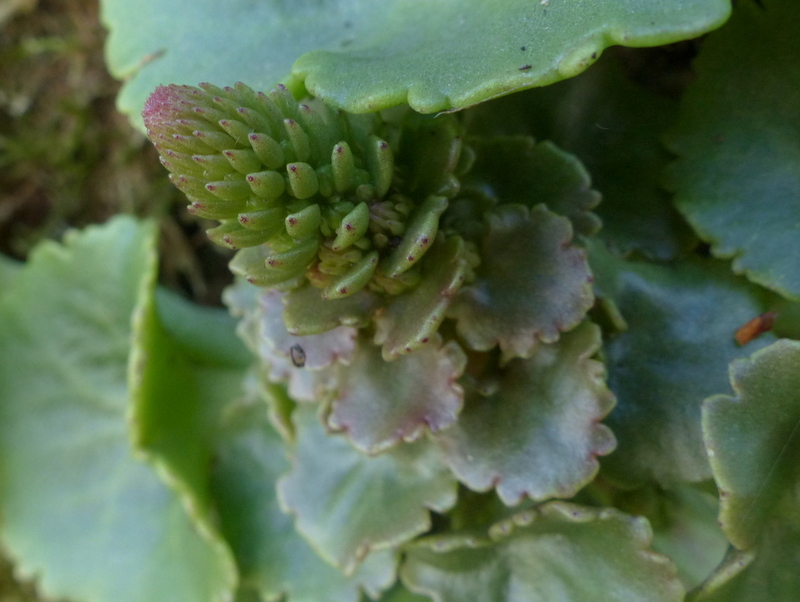 I really enjoyed the bit about the Navelwort. I’m going to look around the garden for that. No bluebells as yet though. Thank you John 🙂 It likes to grow on old stone walls and we have quite a few around here but I have only found one small patch so far. Thank you Maureen 🙂 Loads more Bluebells to come but I am already sorry that I can’t convey the sweet scent of a Bluebell wood or the stillness of the dawn. 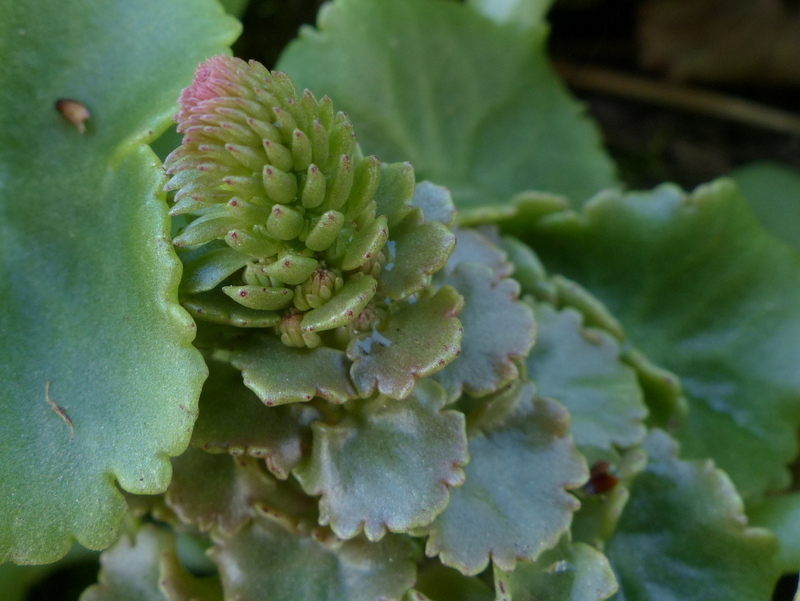 According to the “Doctrine of Signatures” I wonder what it would say about navelwort. I wonder if any scientific studies have been made regarding the doctrine. Keep on tramping. I would love it if you had a doppelganger in Australia. She deals a lot with native WA plants. You might like it. I think that there is definitely a “Belly Button” thing going on there. I will check out Ockhamsrazor ASAP. You and Becky took up most of my evening yesterday (time well spent) and now I see that you have written more and one for me. I will be around to visit in a bit. Many thanks my friend. I like the suggested rules regarding edibles. They makes sense. Thank you Dan 🙂 Yes. It doesn’t really matter what this one tastes like, unless you find it growing in heaps you need to leave it for the Mice. We drove 20 miles south for a sea of bluebells in Hertfordshire last weekend, then today in a nearby wood they were looking pretty good too, interesting to see so many still in leaf where you are. Lots to look forward to! Our bluebells are at the same stage as yours. 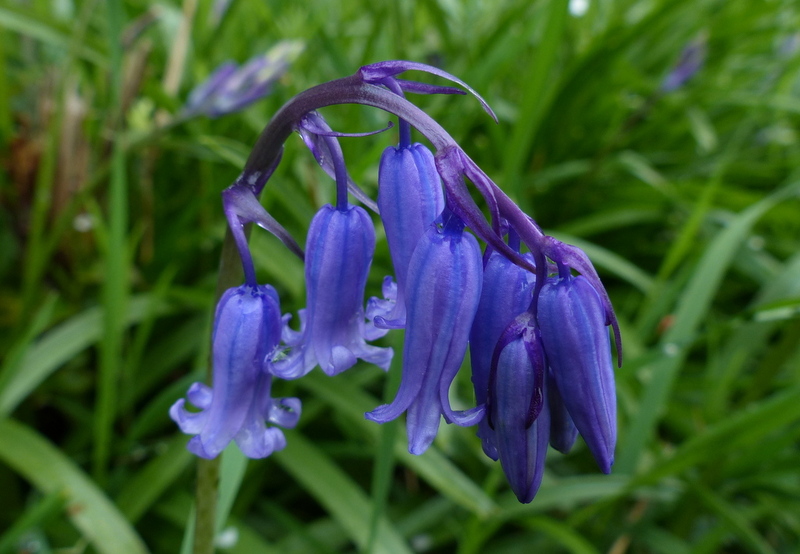 I am waiting impatiently as I really love blue flowers and bluebells are so beautifully scented too. 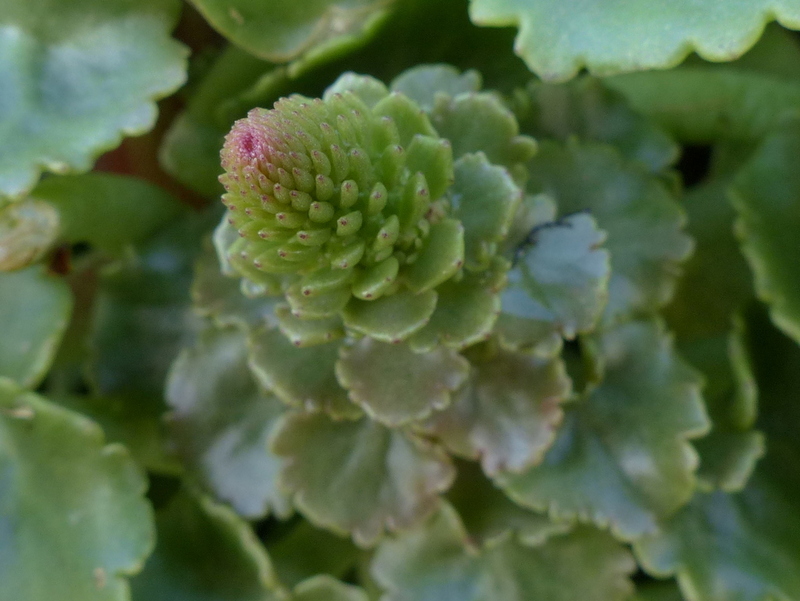 I am really not at all sure if I have seen navelwort before. I knew of it and would recognise it. I have a vague feeling I have seen it somewhere but can’t for the life of me remember where. Maybe I imagined it! Thank you Clare 🙂 I am looking forward to that time when the Bluebells are so thick on the ground that the whole forest is scented and echoing with drumming Woodpeckers and birdsong. It must be the best time of year. I quite agree, Colin. 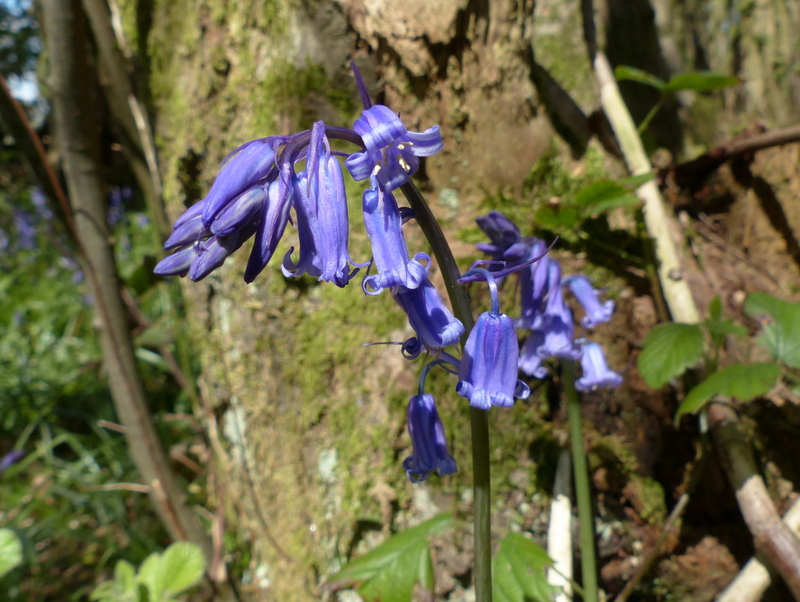 We are going to have to go out on a bluebell hunt in the next few days. I have heard that many of the Suffolk bluebell woods are beautiful right now, though our local ones aren’t quite there yet. I know what you mean about watching plants grow. I remember years ago discovering how snowdrop buds grow. 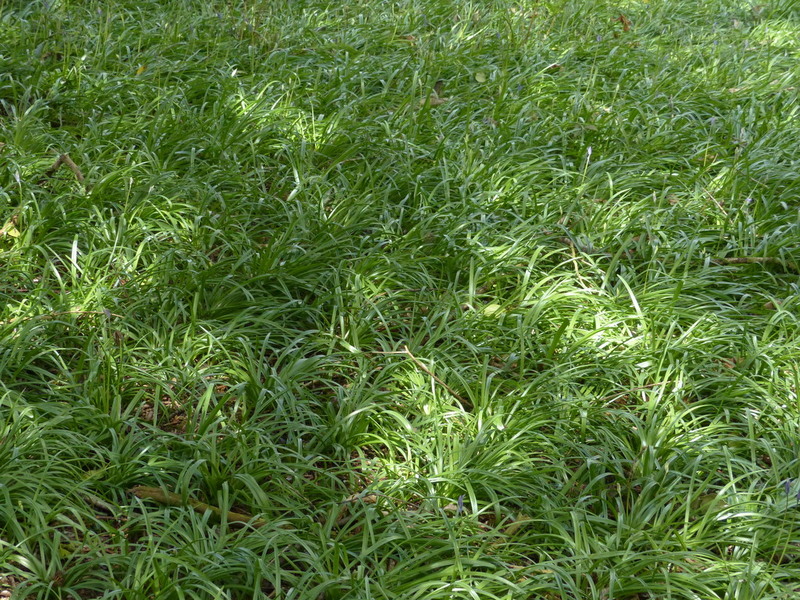 I hadn’t really thought about it before – one day green leaves, next day drooping flowers – it was a revelation! I love the bluebells. And Fizz, as always. So good that you’re doing well and back to blogging. Thank you Sarasin 🙂 I will let her get back on FB just as soon as I can 🙂 She always seems to be more interested in playing ball. 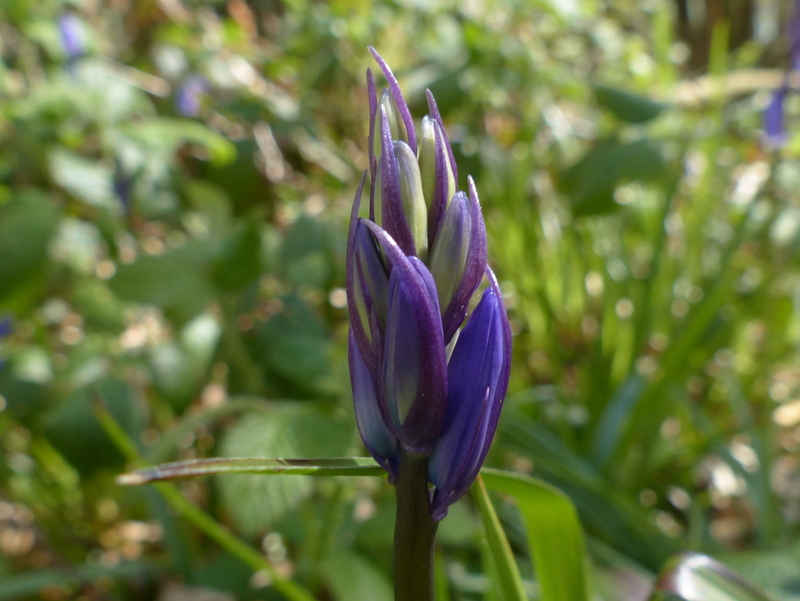 Glad to see the Bluebells emerging. I think that was one of my favourite flowers when I lived in Sussex in the late 1970s and I have some very memorable photos of a walk I took when they were at their peak. 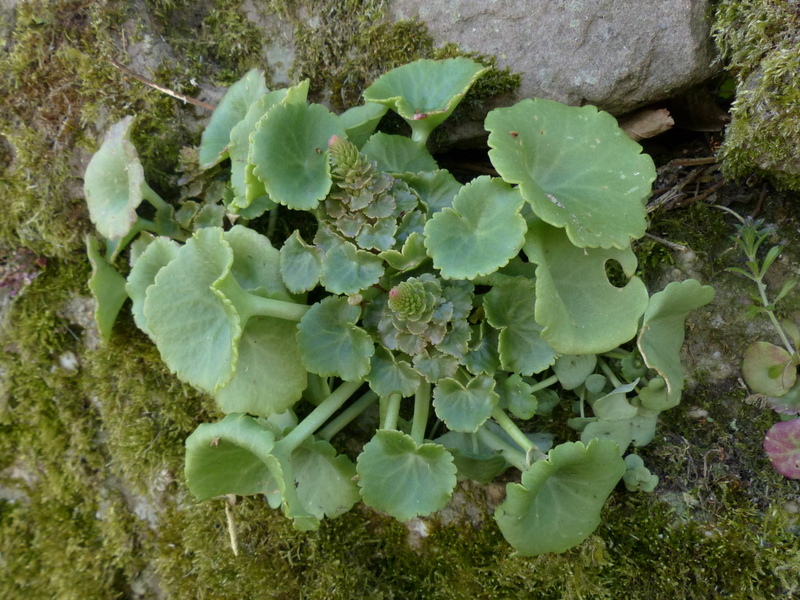 I looked up Wall Pennywort (and under the Latin name) in A Modern Herbal by Mrs M Grieve and couldn’t find it at all. 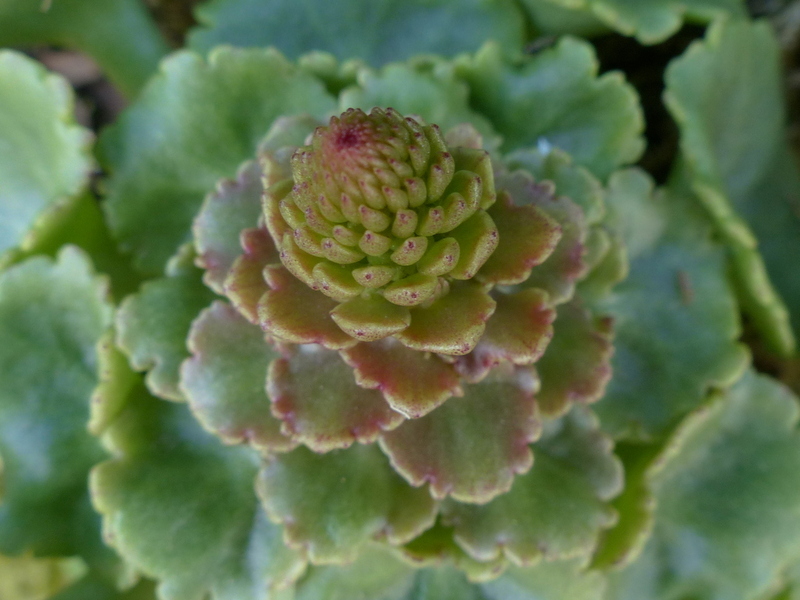 This rather heavy English encyclopaedia has most plants with therapeutic uses, so Wall Pennywort must be rare indeed. Thanks Vicki 🙂 It may be under Kidneywort. 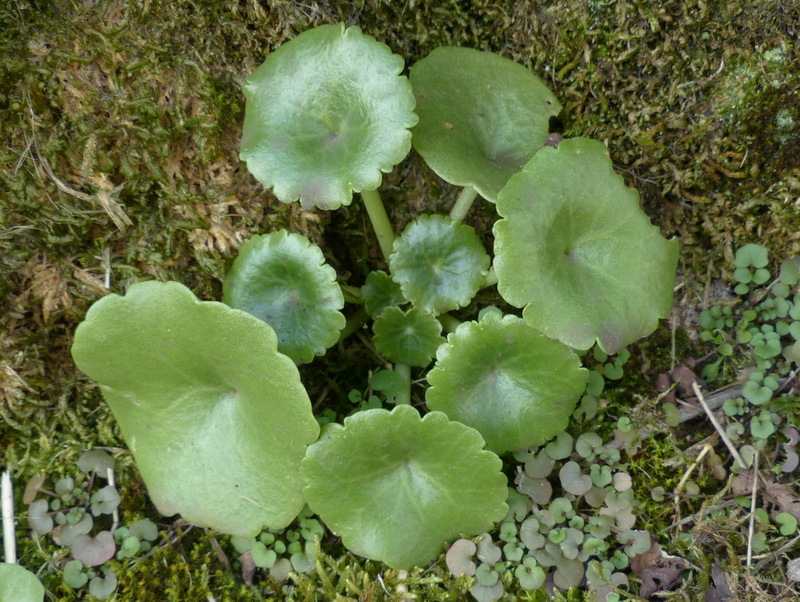 That is a herb that Nicholas Culpeper described and is believed to be what we now call Navelwort. Yes, just found it in the plant directory under Kidneywort…..seems to have quite a few uses, most of which I would replace with more commonly found herbs (or essential oils used in Aromatherapy these days). I wasn’t really thinking about UK succulents. I expect that you have quite a variety of succulents in Australia though. 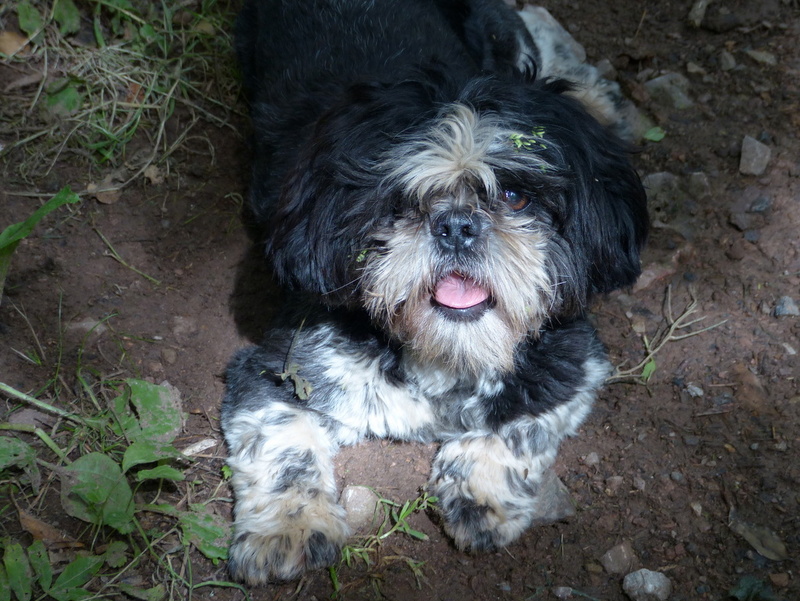 So glad you are back, Colin, and await the stroll thru the Bluebells. I will have to imagine the wonderful fragrance. The information about the succulents was interesting also. Pat Fizz for me. Thank you Ettel 🙂 Hopefully one day next week we will go out to the Nags Head nature reserve, they have wonderful bluebell woods out there.